sabra hummus has always been my favorite store-bought brand. 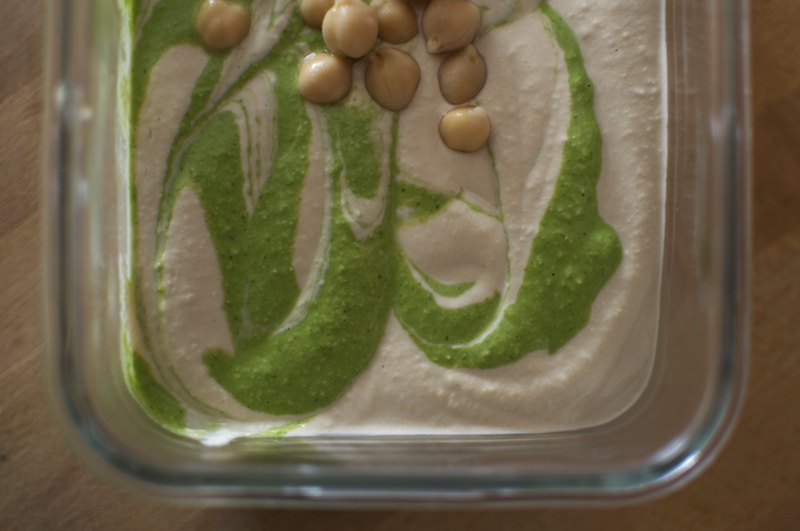 it has a really smooth consistency & great flavor, with whole garbanzo beans and herbs on top. I wanted to try to create a rendition of the sabra hummus at home, and had a lot of parsley on hand, and this is what I came up with. traditional pesto with pine nuts, parmesan, basil and garlic would’ve been really good too I think, it just happened that I had a large jar of feta from last week’s black been tacos & walnuts in the fridge. 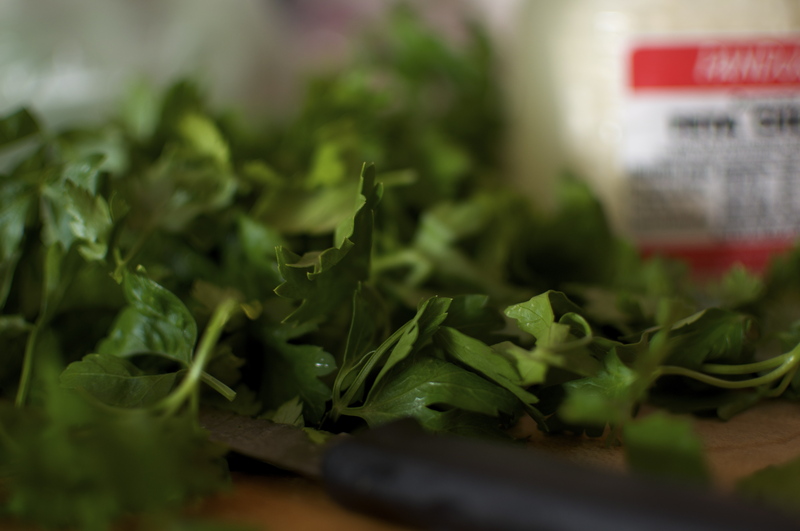 blend one cup packed fresh parsley with one chopped green onion in a blender. 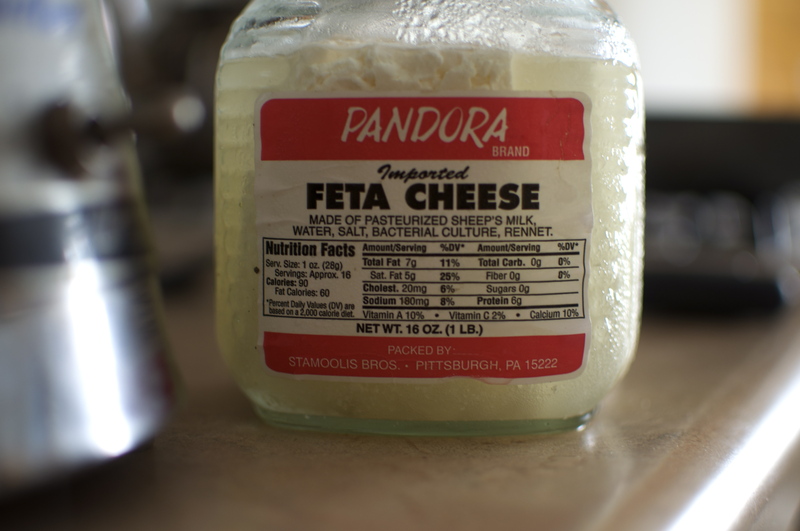 add 1/2 tsp of salt, 1/4 cup olive oil, and blend until almost smooth. 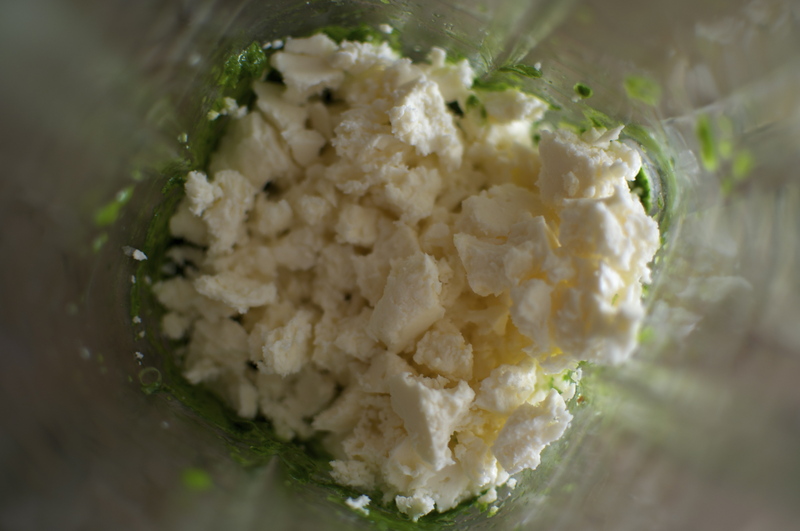 crumble 1/2 cup of feta and a handful of walnuts into the blender and pulse. add water to smooth if necessary. even though a food processor is first on my list of “big things” to buy, I’ll admit that I like the consistency of hummus made in a blender even more. rinse and drain the garbanzo beans, reserving about a tablespoon. pour the rinsed beans into the blender, with the tahini, yogurt, salt, and lemon juice. add the oil, and turn the blender on. Add water until the consistency is how you’d like it. when the hummus was finished, I put about 1/4 of the pesto I had made into the hummus, mixing just slightly. throw the extra garbanzo beans on top.